If you love cooking comforting potatoes and root vegetables, I can recommend adding oca (New Zealand yams) to your repertoire. And the good news is, you can get hold of tubers easily from most garden centres or mail order suppliers, and they’re super easy to grow. It’s a south American native of the oxalis (wood sorrel) family, is an attractive plant in itself with lovely clover-like leaves, and the tasty tubers have a nice citrussy, sharp taste to start with. If left, tubers have a more mellow flavour. You can dig up plants and harvest them from late autumn. You could plant them outside in pots now, but to be on the safe side with regard to frosts, start them off in pots indoors and then plant them out at the end of May. You can eat them raw but, as for cooking, you can roast them or mash them as you would potatoes, or use them instead of carrots or other root veg. A wonderful upside of growing these easy veg is not only their ornamental appeal, but they don’t get blight and slugs don’t seem to like them! Streptocarpus make excellent flowering pot-plants for the house, conservatory, greenhouse, or even outside during the summer in a shaded spot. The range of colours increases every year with the introduction of exciting new varieties. I’ve been growing streptocarpus since I was an apprentice gardener on a parks nursery and the choice was limited back then, but nowadays there’s a much better selection and I’m looking forward to growing three new ones from Dibleys called ‘Leah’, with velvety plum-red flowers, ‘Zoe’ that has violet-blue flowers and ‘Lemon Sorbet’ which is pale yellow and mauve. Streptocarpus originate from rainforests, so when we grow them at home we need to provide them with shade from direct sunlight, moisture and a humus rich compost. Given the correct growing conditions the plants will thrive and last for many years. 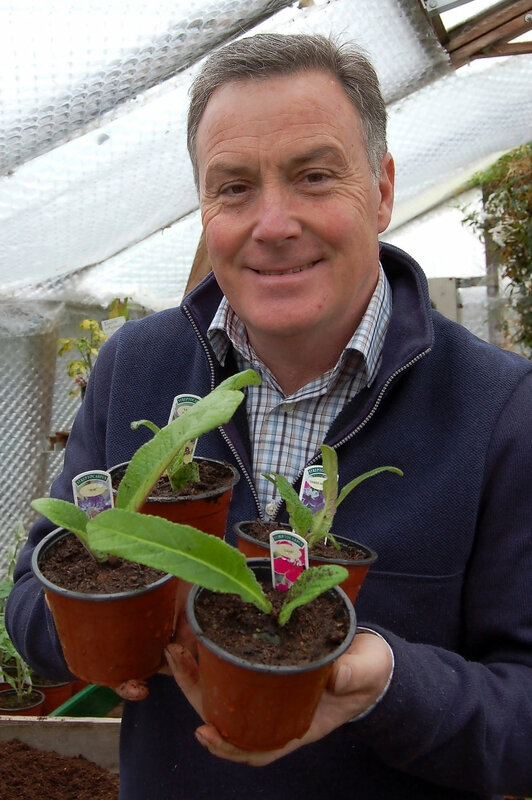 Now’s a great time to get started with them and you’ll find young plants at flower shows or direct from Dibleys, who specialise in breeding and growing streptocarpus. When you get your new plug plants it’s important that you pot them as soon as possible into a 10cm (4in) pots using a good quality peat or fibre-based compost. The plants will flower this summer for you and next spring they can be re-potted into a 13cm (5in pot) to continue growing. Only start feeding when plants are established and roots fill the pot, up until autumn. Unpack new plants as soon as they arrive. The packing material Dibleys use is made from potato starch and can be composted. Remove the outer sleeve, but don’t remove the netting around the plug as you will damage the roots and it’s biodegradable. 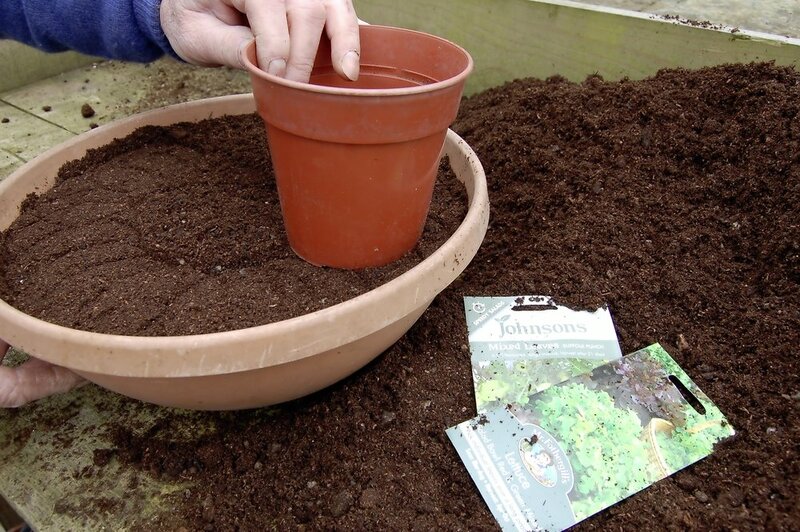 Pot the plug plant into a 10cm (4in) pot using a fibrous (non-loam) compost. A gentle firming in is all that’s needed. Pinch off any flowers starting to develop to help the plant establish, then water and stand in a light, warm position out of direct sunshine. Gardening’s a satisfying hobby; seeing all your graft and painstaking sowing, planting and feeding pay off and a beautiful, thriving garden emerges. Yet sometimes it’s just as satisfying to chuck a few seeds about and, with as little work as possible, your border gaps quickly fill up and froth with blooms all summer! If you’re in a hurry, have large spaces to fill, or you simply like the carefree natural look and a bit of effortless gardening, get hold of some seed now. Sometimes you just need a few easy garden jobs where Mother Nature can help you out by doing all the work! Now we’re cruising along in spring and there are plenty of packets of seeds you can simply open now and sprinkle thinly among your other plants or sown as low-growers at the front of borders, which will take a matter of weeks to sprout and flower. They’re fantastic filler plants that you’ll be grateful to all summer for their colour and abundance. 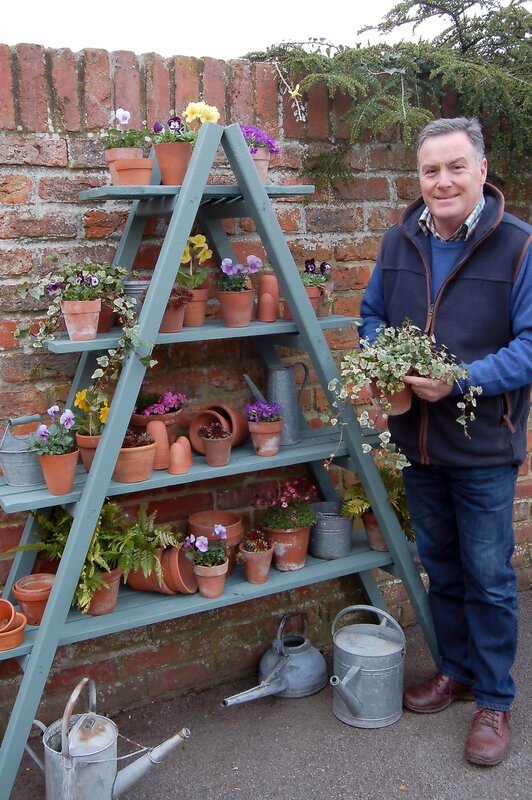 A simple and easy way to display a selection of seasonal plants is to stand them on a shelf unit to create a plant theatre. It’s a great way to brighten up a dull fence or wall and when plants are displayed this way you can see and appreciate them much better. Another advantage is you can change the display several times over the year by using different plants to provide a lovely feature 12 months of the year. 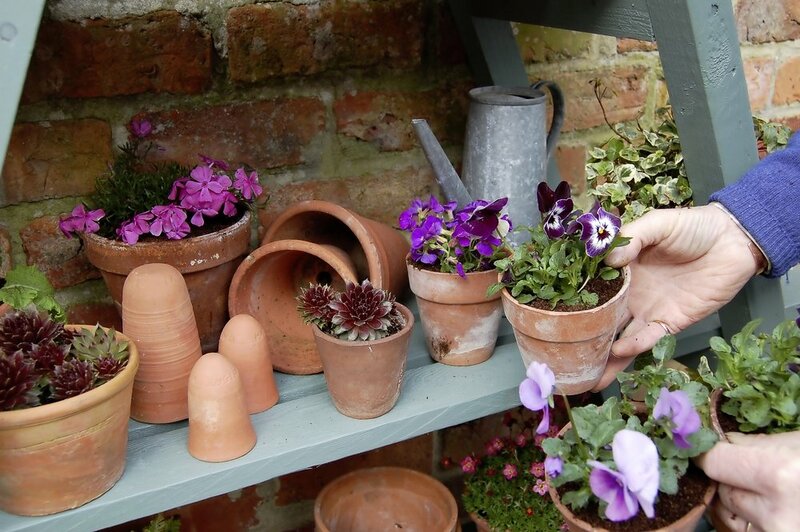 On the shelves in our garden I tend to use a selection of old terracotta pots and galvanised bowls and cans for a rustic look, but of course you can use anything that fits in with the style of your garden. I also have a few evergreen ferns and variegated ivies that live permanently on the shelves to add additional structure to the planting. I can then fill the gaps with whatever plants are looking good at the time. For my spring show I’m using a selection of primulas, violas, saxifrage, sempervivum and aubrieta, but basically you can use anything that’s available in your garden or from garden centres, as long as it can be grown outside. If watered on a regular basis the plants will continue to flower, especially the violas that will carry on flowering for several more weeks. To make the plants look more attractive, pot them all into the same type of container, such as terracotta pots. It you want to use a selection of props on the shelves position these first to add some character to the display. Any foliage or trailing plants such as ferns or ivies can also be arranged around the shelves to add structure. Finally, fill in the gaps with your potted flowering plants to create a lovely, attractive spring display. 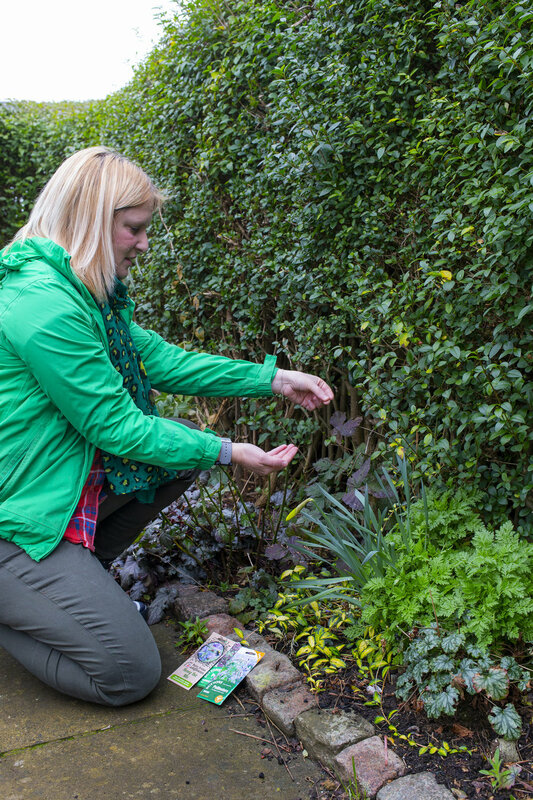 It’s time to start getting your herb garden flourishing for the year! Herbs are nice easy plants to grow, with the added benefit of being wonderfully aromatic and edible, transforming your cooking from humdrum into heavenly. Anyone who’s added rosemary or bay to a stew or roast potatoes will know the richness and depth of flavour that herbs can bring. And they bring lovely flowers and attractive form to veg gardens and patios, too. Most herbs can be grown in containers, in fact some need to be grown like this as they’re either more tender (basil) or too invasive in the open ground (mint). Annual herbs that aren’t as hardy as others such as sweet basil and marjoram can be sown now under glass for planting out in the garden during May or June. 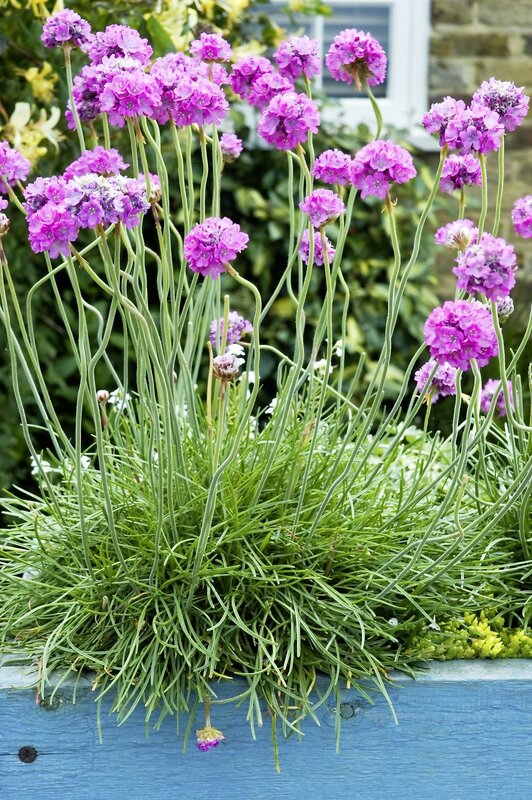 Perennials such as chives, rosemary, hyssop and thyme can be sown direct outdoors. The compost shouldn’t be too rich or dense, and should be kept nice and light and gritty, with a light watering to keep it just moist. Use a general balanced fertiliser if need be, to encourage leafy growth and not flowers. Liquid seaweed helps herbs grow nice and lush and flavoursome. Dig a trench around the shrub to create a root-ball. This should be as large as you can handle and move. 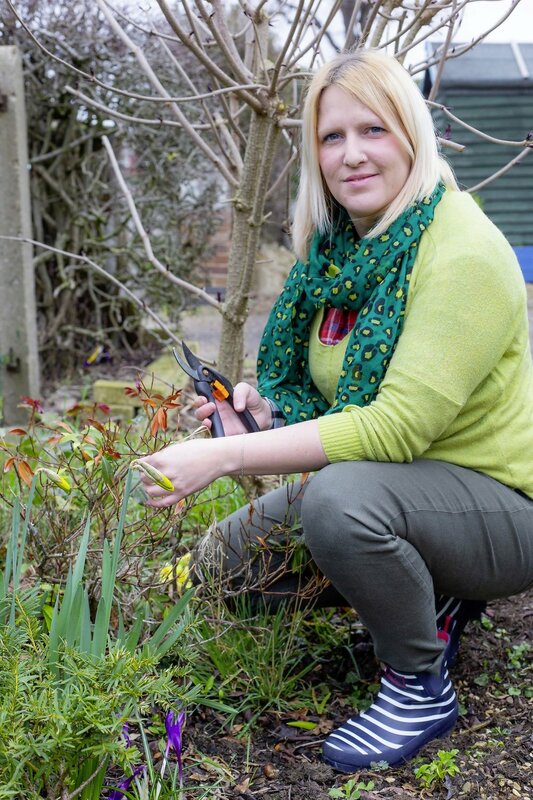 Use a strong spade, cut below the roots and lever out the shrub, taking care not to loosen the soil on the roots. 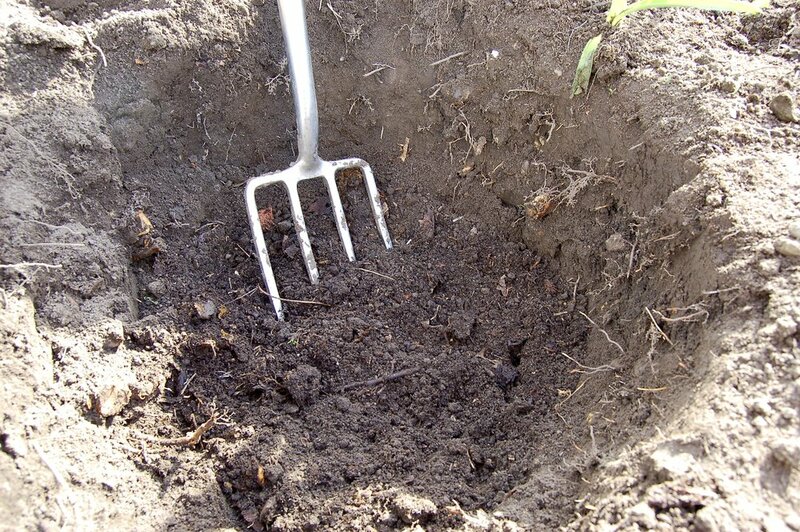 Make the new planting hole larger than the root ball, with the base forked over and organic matter mixed in. Position the shrub in the new hole to the same depth, back fill and firm evenly around the roots. Then give the soil a good soaking. No matter how well you think you’ve planned your garden, shrubs often grow faster or larger than you anticipated! When this happens one way to deal with the potential problem is to lift and move the shrub to a different part of the garden where it has more room to grow. You can move shrubs that are up to 10 years old or even older if you do it at the right time of the year and carry out the lifting and re-planting with care, but the older and bigger the shrub, the greater the risk! Evergreens are best moved in autumn or spring but given the choice I prefer to do it in April, just before the plant starts into growth. The combination of mild days, cool nights, moist soil and April showers all help the evergreen to settle into its new home. The secret when transplanting an evergreen is to lift the plant with a good ball of fibrous roots and to replant straight away into moist, well prepared soil. Through the spring and summer, the soil around the roots needs keeping moist to encourage new root growth. Watering over the foliage on a regular basis also reduces transpiration and helps to prevent the leaves from drying out, while the roots are re-establishing in the ground. ‘Gijnlim’ is just one of the excellent varieties available. Others include ‘Backlim’ and ‘Guelph Millennium’. Dig a trench in prepared soil 30cm (12in) wide and 20cm (8in) deep and form a ridge 15cm (6in) high along it. Space the crowns along the row 30-45cm (12-18in) apart and sit them on the ridge so the long roots straddle it. Backfill with soil so the crown’s top is 5cm (2in) below the surface. Firm the soil and water with seaweed feed. Asparagus is a very tasty vegetable, but when you grow your own and eat it fresh from the garden, the taste is truly amazing! That’s what makes it so special for the six to eight weeks that it’s harvested from late spring to mid-summer. Now and over the next few weeks is the perfect time to plant crowns. These are young plants grown from seed that can be brought from mail order catalogues or nurseries. To grow well, asparagus needs a sunny position and good soil, that is well-drained, but moisture retentive. A sandy loam is ideal, but where soil is heavier or very sandy, you can improve it by working in plenty of well-rotted manure or garden compost. On clay soils you can also plant on a mound to aid drainage. The site needs to be free from perennial weeds such as couch grass, ground elder, docks and bindweed, otherwise weed control will become a problem. Once planted the asparagus needs two growing seasons to establish properly to allow it to build up a strong root system. If planting now, it will be spring 2021 before you can start cutting, but then you’ll be able to enjoy your own fresh asparagus for the next 20 years or more! The ideal border when it’s all planted up is usually a sort of tapering shape, right from the larger shrubs and perennials poking out at the back, cascading down to the front where smaller pathside plants reside. Sometimes we just plant where we can, trying to find something we like for the right place. But with good planning and consideration of compact height and habit you can create a lovely low-growing display that doesn’t bury the plants behind it, makes your garden seem bigger, softens the hard edges of your path and will creep and clump prettily at ankle level as you walk past. Some of the best plants for the job are rockery or alpine plants, so make your way to the alpine section of your garden centre now and you can get some good deals. Planted now they’ll establish well. You could even make these path-edge areas a little more authentic and add pebbles, stones or smallish rocks to complete the look. Rockery plants usually like good sunshine and really well-drained soil so fork over the soil and add a little grit to each planting hole. 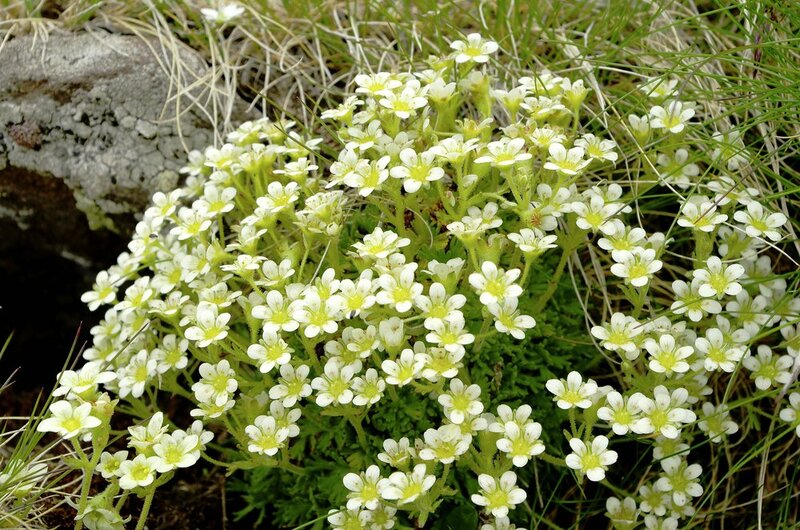 Spring’s a great time to enjoy making your little alpine pathside patchwork! Cucumbers and its close relatives are so easy to germinate and grow to maturity, and are such rewarding plants, grown in the greenhouse, out on the plot or in the garden in pots. 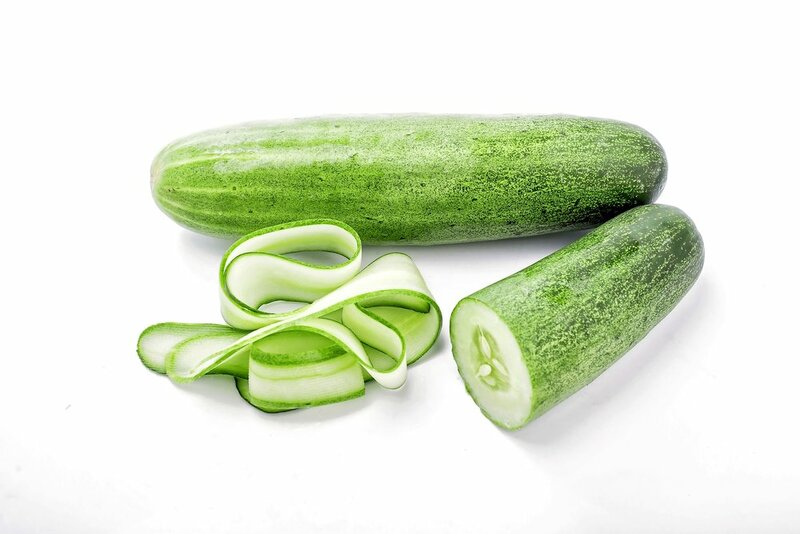 Homegrown cucumbers have an unbelievable taste and thick, robust skins, unlike their poor supermarket relatives. 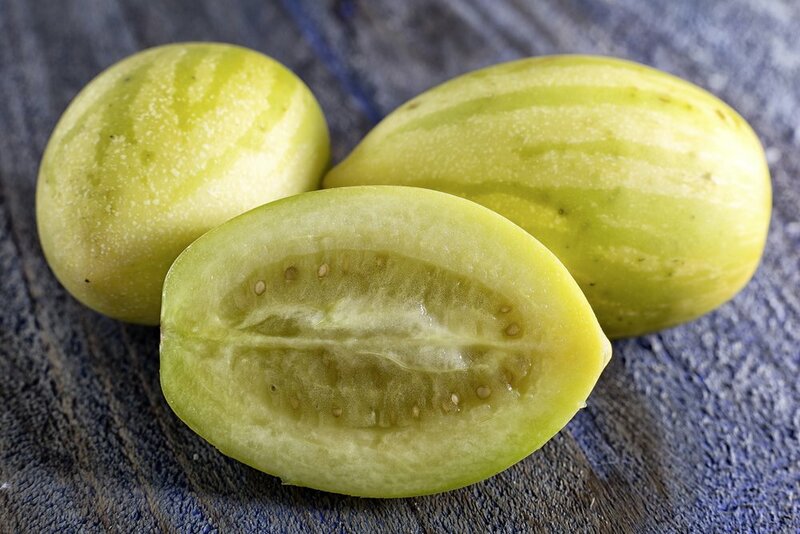 They’re attractive patio crops, too, and nowadays you can get smaller varieties to save you from large, gangly fruits taking over your seating area! ‘Baby’ from Dobies (www.dobies.co.uk), and ‘Mini Munch’ (www.kingsseeds.com) are small but perfectly formed snack-size cucumbers, and stops that troublesome glut of massive, long fruits you’re always having to give away in summer. 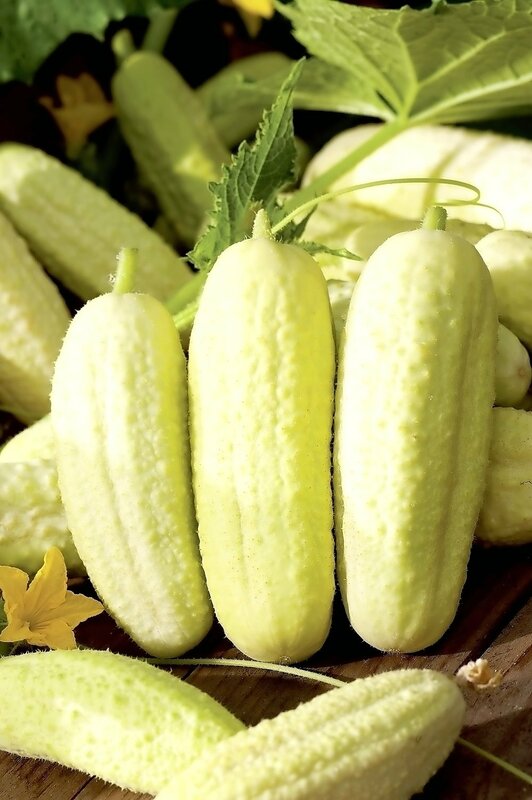 Decide where you want to grow your cucumbers – you need an ‘outdoor’ variety if you want to grow them all summer on the patio, whereas ‘indoor’ varieties are suitable for the greenhouse and may not thrive as well outside. You can also get some varieties that will do well in both situations, but needless to say, the warmth, light and humidity of the greenhouse wins hands down for productivity. 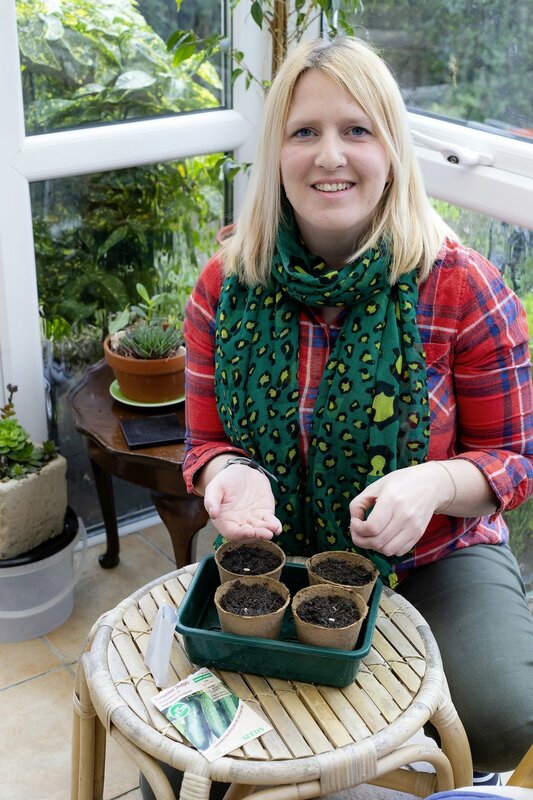 Simply sow two seed on their side per pot or module of seed compost or multi-purpose, cover with compost and water, leaving pots on the windowsill or in a warm greenhouse. Plant out in May, tying in plants to an obelisk or cane supports. Ensure you water well, keeping soil continually moist, and feed with a liquid fertiliser every 10 days or so. 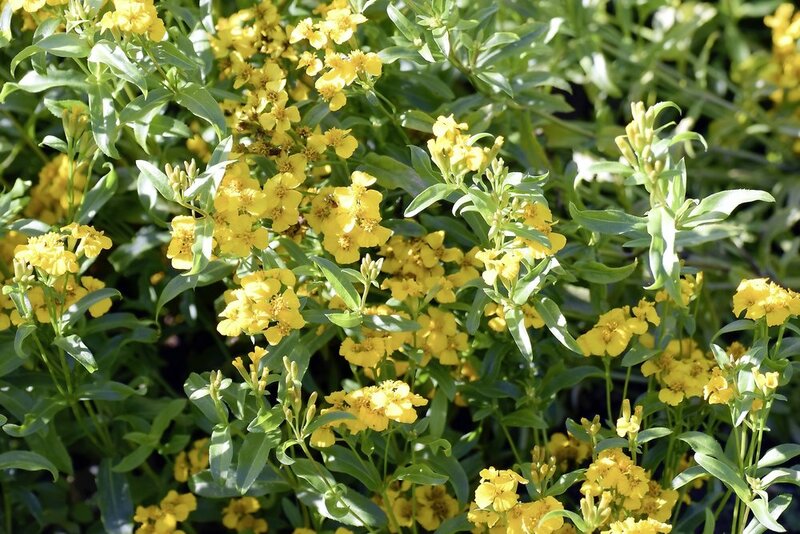 As the planting season continues, it’s time to take into account plants you want to add for height and depth to your borders, fences or walls. Climbers are the perfect option, and grown well, will billow with foliage and flowers at head height and above with real impact. 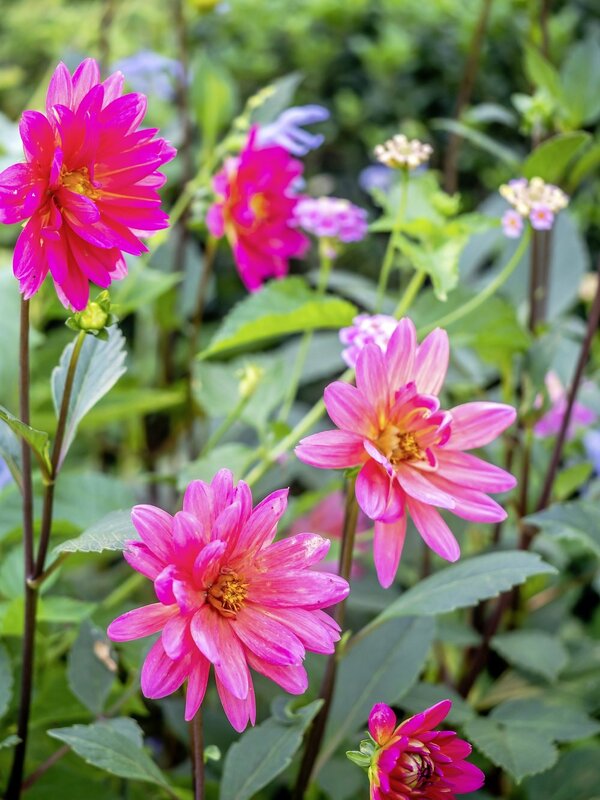 There are two times a year it’s best to plant climbers – in autumn you can start off hardier types, and spring is a good time to get more tender ones settled. Decide on what you need where – close to a doorway or path you may want strong scent, or a covering of splendid foliage to cover an ugly wall, or simply a bounty of blooms to enjoy in high season. 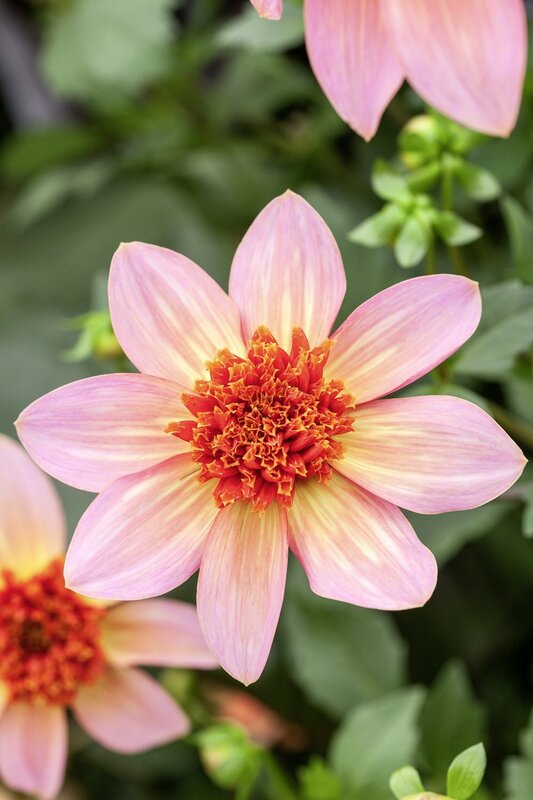 Why not try annual climbers – often perennials in their native countries, grown as annuals for the summer season here – or some tender perennials for a sheltered spot or the greenhouse. Tender climbers tend to be more exciting and exotic-looking, so scout around for some you may like. You can start many off by seed now, including nasturtiums or morning glory. When planting, make sure you have enough support in the form of obelisks, trellis or a network of wires on walls secured by vine eyes. Site your plant slightly away from the wall or fence, in a hole twice the size of the pot it came in and half as deep again. Water well, feed and mulch. Grafting apple trees is a very interesting process and it’s actually easy to top-graft a new variety onto an existing tree. This can be done now on a tree that is healthy and growing well, but just doesn’t produce much fruit. Another reason might be because you don’t like the taste of the existing variety, so top-grafting allows you to completely change the variety of apple. You can also do it for fun and introduce several different apples onto a single tree to create a family tree. 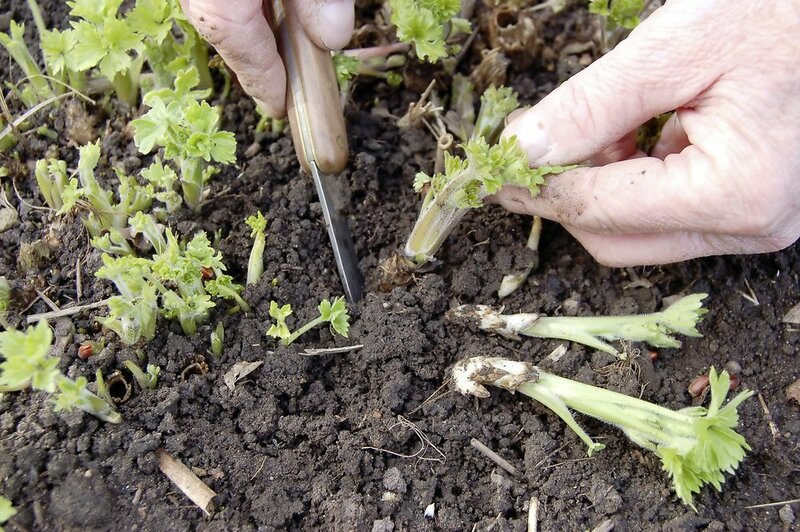 Grafting should be done at the end of the dormant season, just before growth starts in early spring. 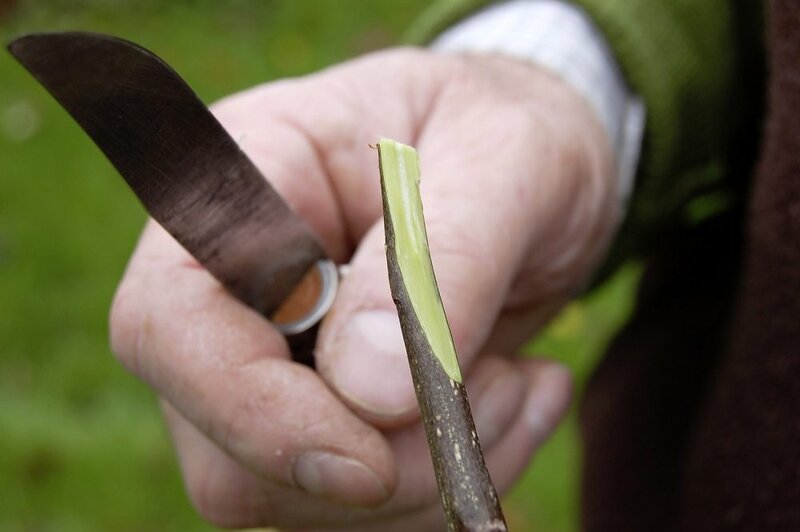 The basic technique is to insert new shoots of the variety you want into the old wood, taking care to match up the cambium layer, which is the green layer just below the bark that transports sap up and down the tree. When joined together, the cambium heals over, just as a scab would if you cut your finger. For the graft wood, known as scions, you need one-year old shoots cut into 10cm (4in) lengths. To prepare the tree, cut back the branches with a pruning saw to short stumps. All you need then is a sharp knife, electrical tape, grafting sealant such as Medo and a little patience! Fingers crossed new shoots will start to grow from the scion by late May. On the tree make a vertical cut approximately 5cm (2in) down the bark and carefully open up the soft bark to make a flap. With a sharp knife cut the base of the scion to create a tapered wedge to expose the maximum amount of cambium. Carefully slide the scion down into the flap of bark on the tree, making sure the scion is firmly held in position. Use the tape to bind around the branch to securely hold the scion in place and seal the cuts using the grafting sealant. That lovely warm spell we had recently really put a spring in people’s step – birds singing, flowers blooming early and bright sunshine. 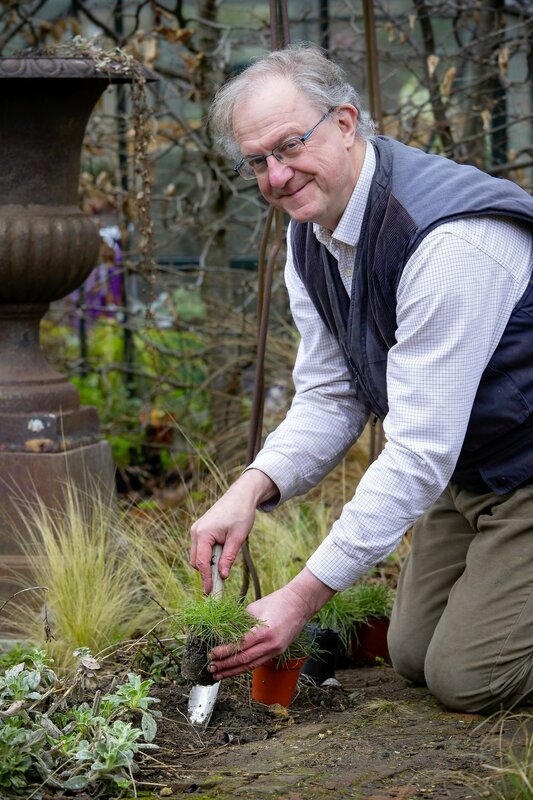 These welcome but slightly alarming bouts of premature spring weather often lull people into a false sense of security, and our plants can make the same mistake! Take a look around the garden and check for signs of damage to stems and fresh new growth. You’re looking for scorching on leaves, blackened foliage, brown patches, and dead stems. Frosty weather and freezing temperatures can be exacerbated by any harsh winds you’ve had, too, which take moisture away from thirsty evergreens, leading to tip browning. 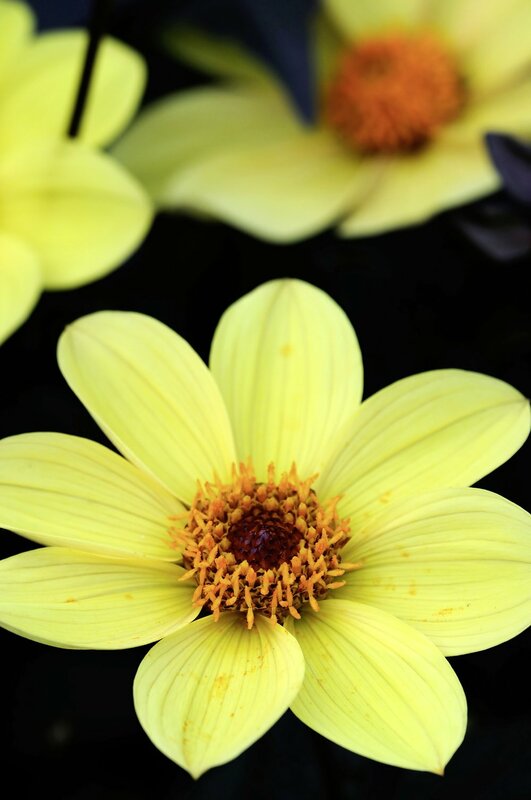 Newly planted specimens and young plants can suffer, as they haven’t had time to establish properly, setting deep healthy roots and mature, more frost-resistant stems and leaves. 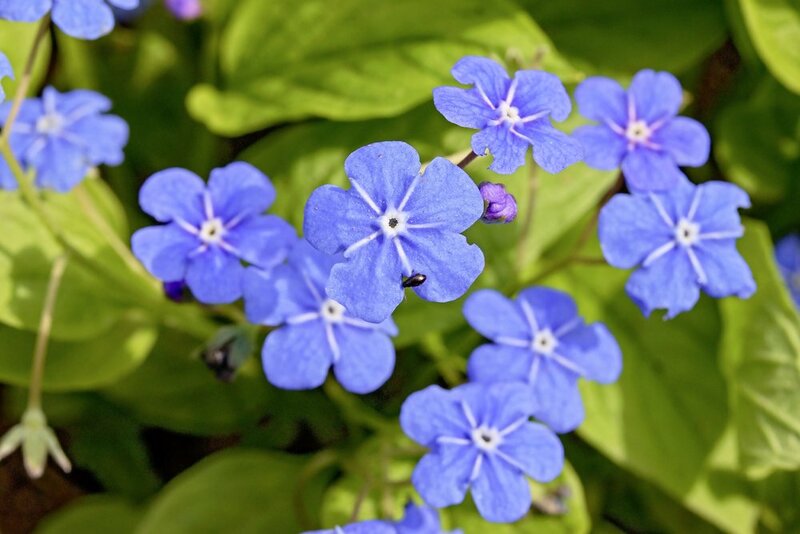 Thankfully most plants will bounce back – leave them for a few months to see if they regrow. It pays to think long-term about reducing the potential effects of frost damage in your garden, by using hardier plants and making sure you site tender plants in warmer, sunny, sheltered pockets. 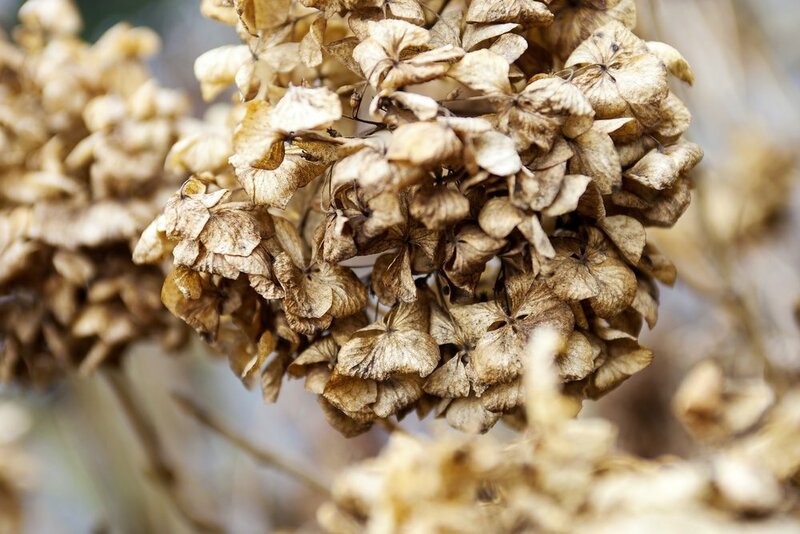 However, here are some more immediate measures to keep your plants safe from further frosts – and to treat the damage now. Add a layer of mulch around tender plants and evergreens to protect the roots and soil. 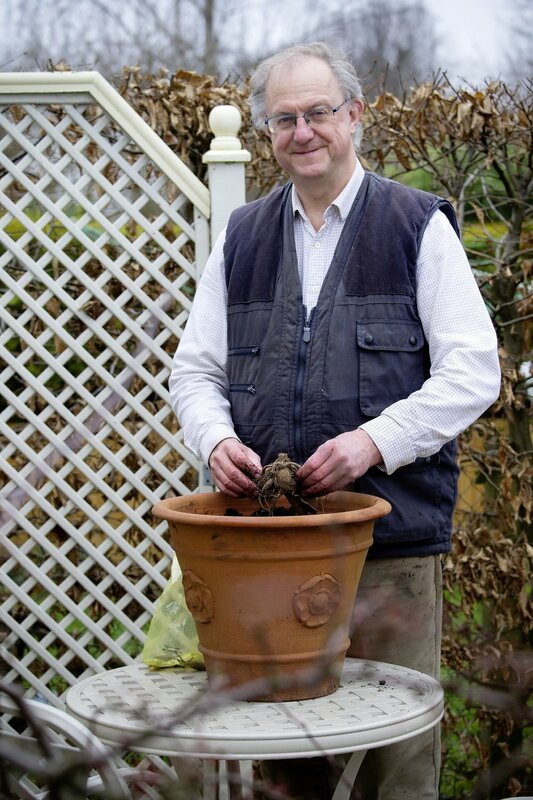 Cut out frost damage to an undamaged stem or bud, then add general purpose fertiliser. Place exposed containers in a sheltered spot and if frosty is forecast, fleece vulnerable plants. Don’t cut off last year’s old stems until you’re sure the frost has passed. They protect new stems. Sow your own stir fry! Why not open up your garden to some tasty Asian leaves? 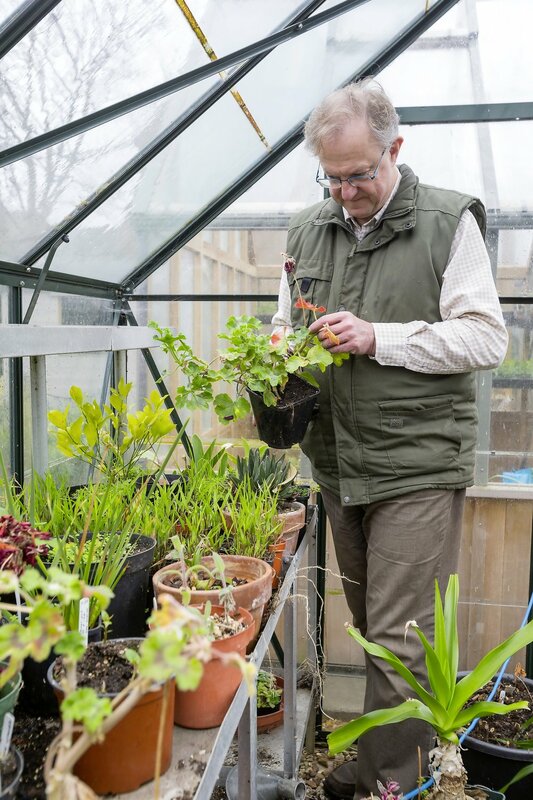 Veg gardeners always have a few rows or pots of various salad leaves or lettuce on the go – even in the depths of winter in the greenhouse when many other forms of fruit and veg growing have waned. Now you might think a leaf is a leaf – a bit of spinach and ‘Iceberg’ lettuce will do - but a whole world of Asian cooking has opened up over recent years, and with it a new world of salads and veg to try growing. The gardening industry has taken note and provided gardeners with a lively selection of varieties to try – just search online or pop to the garden centre and see; it’s a culinary hotbed in the seed aisle! So why not add some easy-grow leaves to your repertoire this year? Once you try some peppery or crunchy Asian salads in your cooking, you’ll not look back. Many leaves can be sown outside now, with some needing a late spring outdoor sowing. However, all can be sown now indoors or in the greenhouse, either in trays or modules of moist compost for planting out, or in permanent pots for your indoor salad garden. 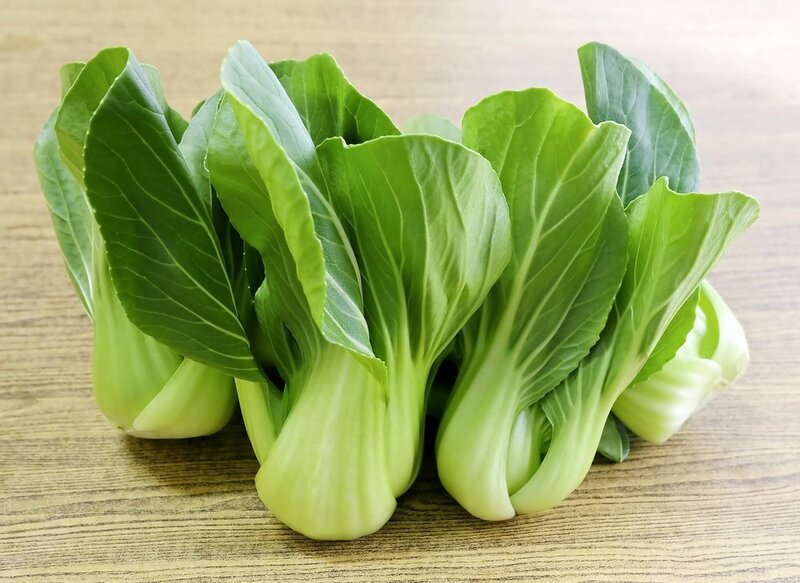 Sow successionally so that you’ll have good pickings for much of the year, and pick as baby leaves for salads or leave the plants to bulk up for stir fries with fuller flavour. Just a little tip on stir fry cooking – don’t fry them so they’re too soft. Make sure there’s still a bit of substance and crunch to the leaf, and they’ll taste their best. These make great outdoor table centres, or larger ones are perfect spring additions to your patio planting. 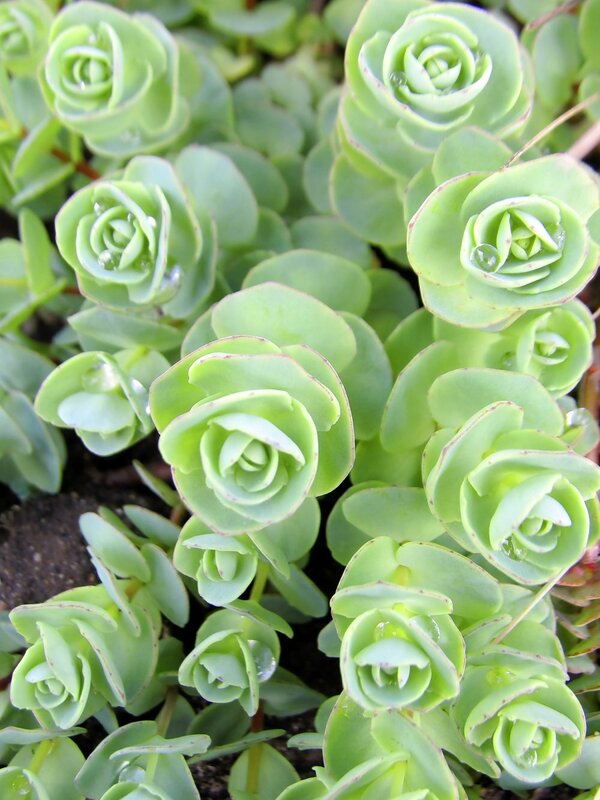 Head down to many garden centres now and you’ll see fresh spring alpine and rockery plants on display for sale, such as tempting spring blue-flowered aubretias, sedums, erodiums and iberis, plus echeverias and other succulents. 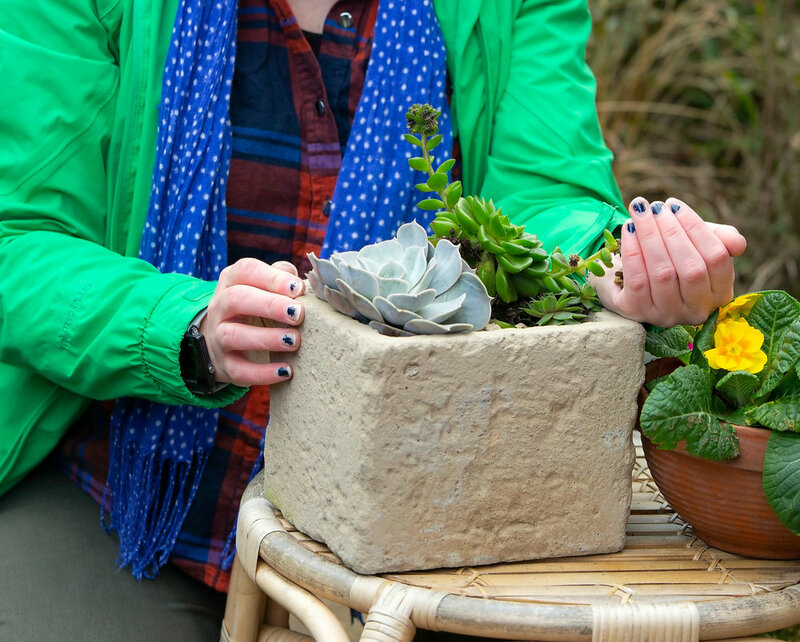 Larger garden centres, such as Dobbies in particular, have a vast range of paraphernalia to make your own mini troughs – a fantastic early spring project to get you going for the season! Pick a trough – light plastic replicas are perfect for the job, and will be lighter and more manageable than real ones. Ensure it has drainage holes. Next select your rocks if you have room, small and large in different coloured striations. Cover the drainage holes with a few large pebbles and gravel to aid drainage and prevent holes clogging up, and then fill up your container with a light free-draining compost such as 50 per cent John Innes no.2 mixed with 50 per cent grit. Arrange your plants and set them in, firming down nicely. Place your rocks and stones around and finish with a later of grit or gravel on top around the plants. Here are GN’s recommendations for a spring rockery. Click the images to find out more! Taste is, of course, key to growing your own crops, so once you find a variety you like, it’s sensible to stick to it. But on the other hand, when it comes to the kaleidoscopic world of peas and beans, you don’t want to miss out on a whole heap of colour and variation available from seed companies. Why not go online or sift through your seed catalogues to pick out a few fresh and exciting ones to grow now – all peas and beans are easy to grow, too. You might find a few other varieties you love for both taste and colour, to freshen up your cooking. You’d never know of the wonderful range you can try from supermarkets, either, who seemingly stock for utility. And there’s no doubt about it, nothing is nicer than picking your own fresh, intensely flavourful, unusually colourful crops! As peas like cooler weather, you can start them and mange tout off now outdoors, as well as broad beans, and now’s the perfect time to order in some new runner or French bean seed for April planting. You can also start off all types in pots for the greenhouse over the next few weeks, ready for planting out later as young plants to get you ahead for the new growing season. Plant out into a moist but well-drained, open sunny spot, or grow in pots for the patio – but remember to water and feed them well in containers.